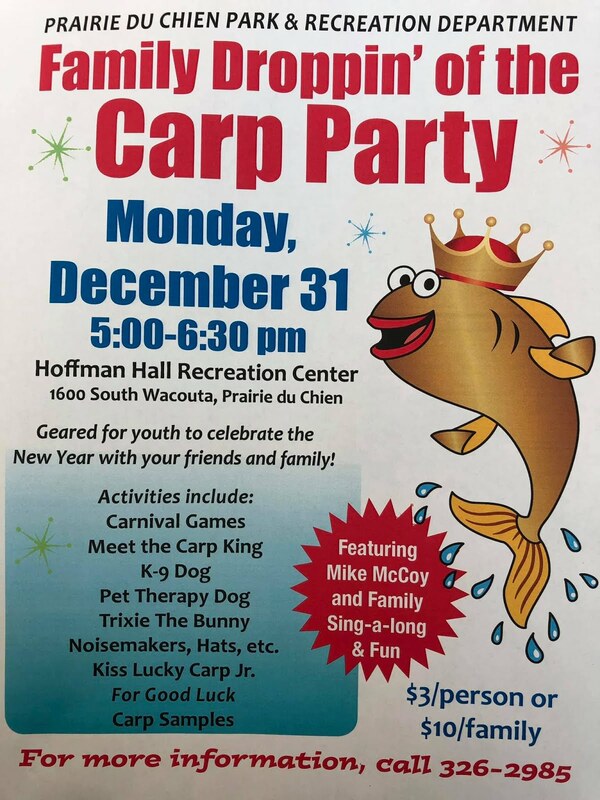 2013, Droppin of the Carp, New Years Celebrations, Prairie du Chien Parks and Rec Dept. 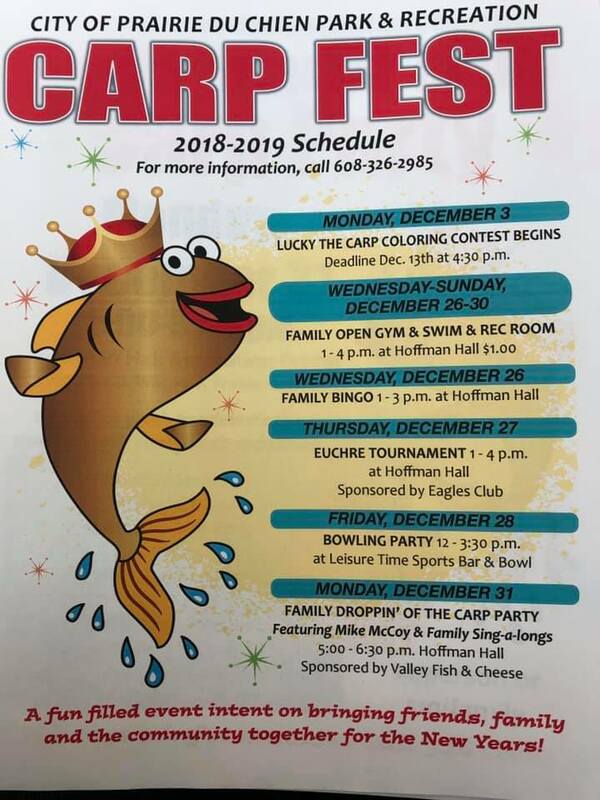 Lucky The Carp Coloring Contest begins on December 1 and lasts through the 19th Deadline 4:30PM. 6 - 8 p.m. SKATE PARTY and BONFIRE at Lochner Park. Skates available. YOUTH ICE FISHING FUN DAY 9 - 11 a.m. south of Blackhawk Bridge. 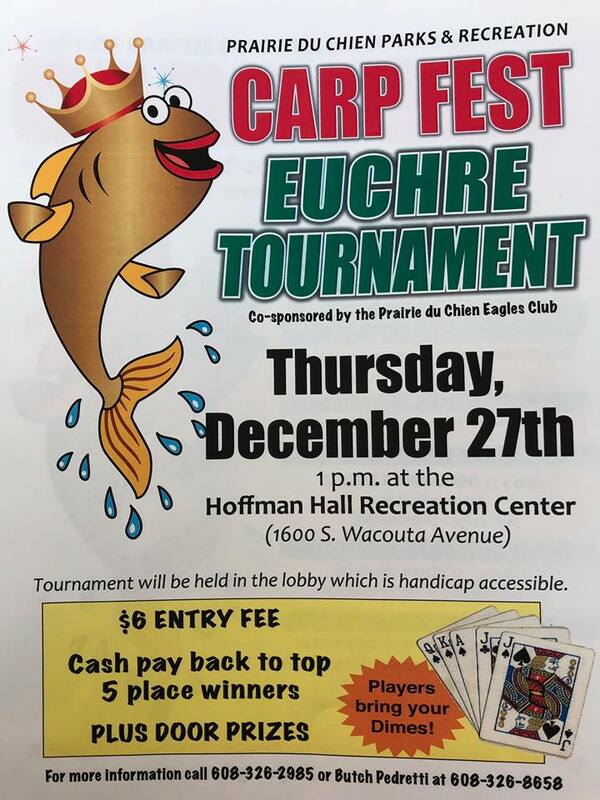 1-4PM EUCHRE TOURNAMENT Prairie du Chien City Hall, Community Room. GRAND FINALE 12th ANNUAL DROPPIN’ OF THE CARP & PYROTECHNICS MIDNIGHT DECEMBER 31 SHOW at Lucky Park HUGE BONFIRE ! *All events dependent on weather conditions and participant safety. 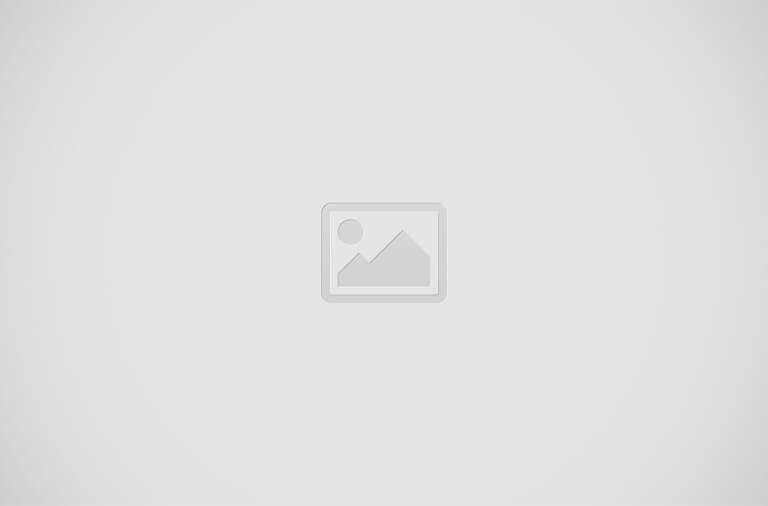 Prairie du Chien Parks and Rec Dept. Labels: 2013, Droppin of the Carp, New Years Celebrations, Prairie du Chien Parks and Rec Dept.